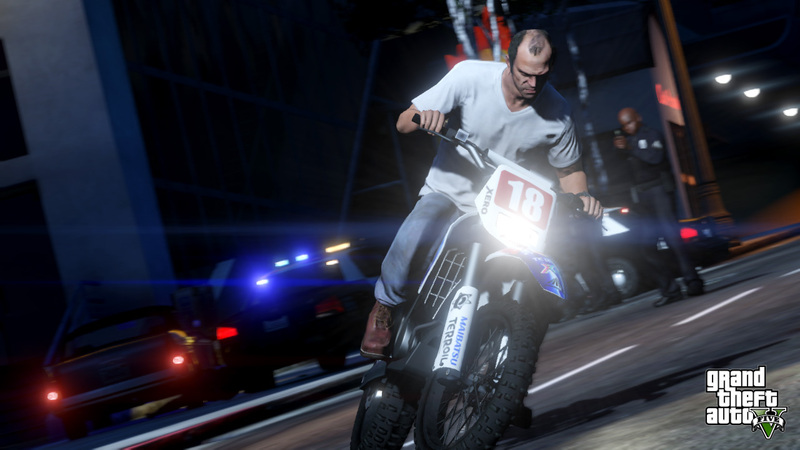 Along with announcing that the cover art will be revealed shortly, and releasing four artworks for download, Rockstar quietly added full versions of all the preview screenshots including two new screenshots to the official Grand Theft Auto V gallery. See them below and check out all the others in the GTA 5 Screenshot Gallery here. 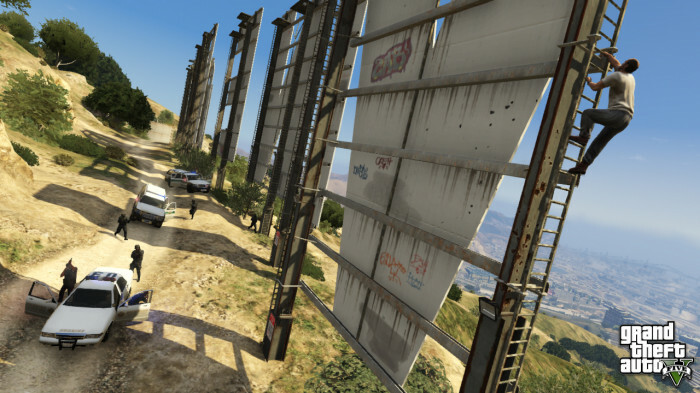 As always join us in our GTA V Forums to discuss these new screenshots. I hope that sprunk machine don't get messed up when the truck exploses, can't beat a good sprunk. They gave GTA IV a perfect score so I think it's safe to say GTA V will get the same. 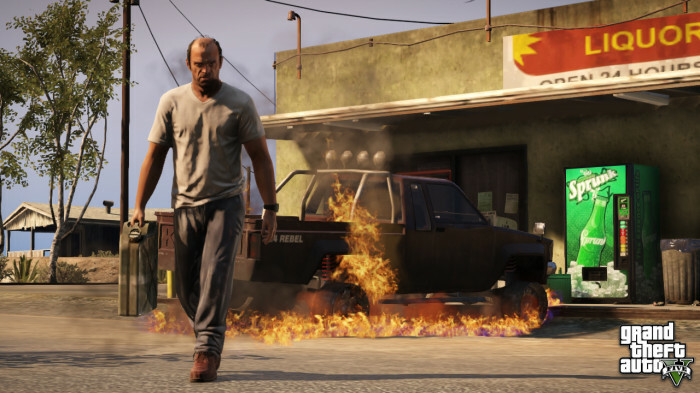 Gta 5 is going to be the best game of Ã¡ll time i mean rockstar make the best games ever they should make a gta game were we can go to any gta city that would be awesome. @MISTASTEALYAGURL Yeah I know my police cars, that's sheriff.